Everyone wants beautiful, healthy, youthful skin. That’s where moringa oil can be one of the best tools in your wellness kit. 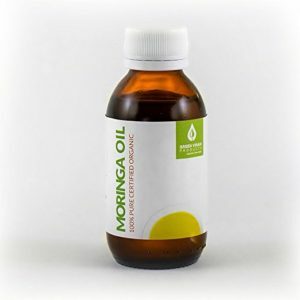 You can read more about the benefits of moringa oil here. This 100% pure oil is cold-pressed from organic moringa seeds. It’s full of anti-aging properties and nourishes the skin with vitamins, antioxidants and fatty acids. Your skin will love the vitamin A, vitamin C and fatty acids that will boost its radiance and promote healing. 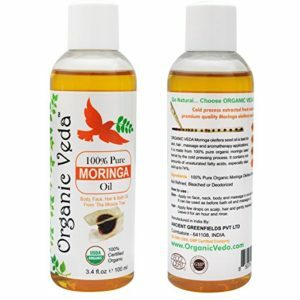 Organic Veda’s oil is non-GMO, fair-trade, and certified organic by both the USDA and EU. There’s no preservatives or artificial substances – just pure, natural moringa oil. This pure oil is naturally stable, and so does not go rancid, unlike many other plant-based oils. In fact, they stand by their product with 100% satisfaction guaranteed. There’s no compromise on quality with Inn&Co. Their moringa oil is 100% pure and certified organic, so you know you’re getting the best. Their oil is made using wild-harvested moringa that is then cold-pressed. It’s completely unrefined and undiluted, with no solvents or additives added during processing. This moringa oil has so many applications that you’ll love. It’s naturally anti-aging, improving the appearance of wrinkles and reducing fine lines by nourishing the skin cells. It treats dry flaky skin that can be associated with eczema. 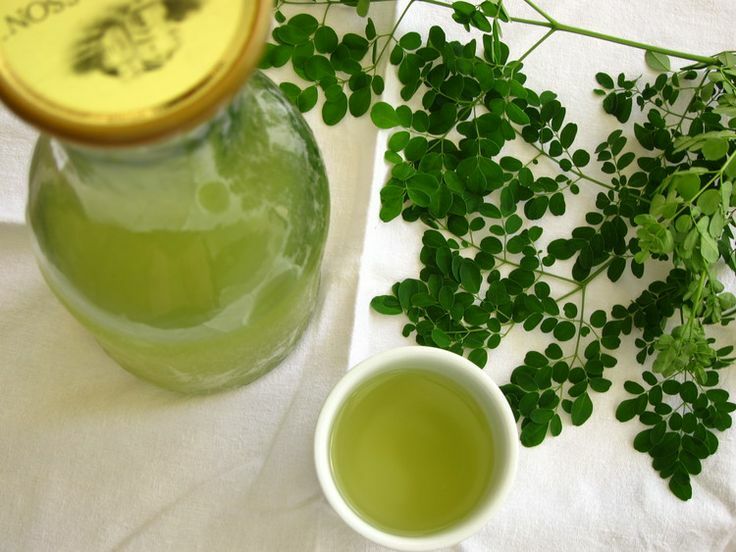 Moringa also has natural antibiotic properties that can prevent skin infections leading to acne. In fact, if you’re not satisfied with the oil, you will get an instant refund from the company. So you have nothing to lose! So why not give it a try? 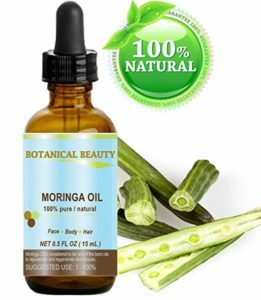 If you want naturally beautiful skin, Botanical Beauty’s Moringa Oil is designed for just that. Absorbing easily into the skin, it improves the appearance and radiance. With skin-nourishing nutrients such as vitamin A, C, and E, it reduces fine lines and wrinkles while reducing inflammation naturally. With 72% oleic acid, this oil penetrates deeply into the skin, bringing nutrition to the deepest level of your skin and hair. The cytokinins promote cell growth and reduce the damage done to skin cells, so you can grow fresh, beautiful skin every day. Moringa oil also has antiseptic and anti-inflammatory properties. So you can use it for healing small skin abrasions, cuts, scrapes, bruises, burns, rashes, sunburn and more. Green Virgin Products wants you to have the very best in moringa oil. That’s why they’ve brought you their cold-pressed, 100% pure oil. This oil is so pure, it’s food-grade, so you know it’s the real deal. 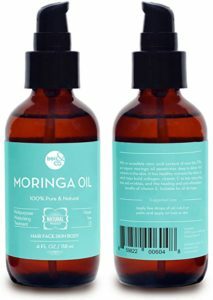 Their moringa oil has potent anti-aging properties that sink deep through the skin’s layers. If you want to reduce your fine lines and wrinkles naturally and have glowing, healthy skin, moringa oil can help. Green Virgin Products believe that their oil is the world’s best moisturizer. That sounds like a moringa oil worth trying. Zest of Haiti creates their oil using a selection of their finest moringa seeds grown on their plantation. With no parabens, synthetic fragrances, sulfates, GMOs, or additives of any kind, it’s pure goodness in a bottle. Moringa oil is known for its many skin benefits. Zest of Haiti notes that theirs is known to reduce the appearance of stretch marks, particularly in pregnancy. It can help minimize enlarged pores and reduce blackheads and blemishes. Combined with the anti-aging properties, antioxidants, vitamins and nourishing fatty acids, it really is a tonic for your skin. 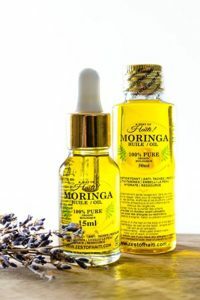 So if you want the most beautiful skin you can get naturally, try this moringa oil. There we have it. Those are our favorite moringa oil options. Which is your favorite? Share with us below. And if you’re still not convinced, jump on over to the top health benefits of moringa oil to learn more.